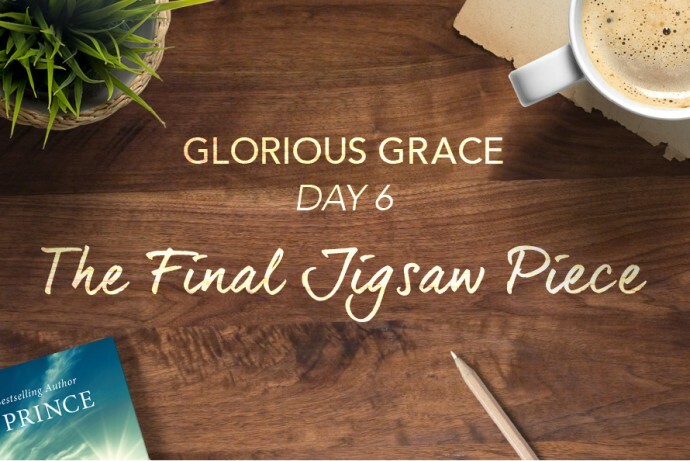 But when I heard Pastor Joseph Prince preach on television, suddenly, the final jigsaw piece fell into place. It was the first time I had heard about God’s grace. After that, I bought and read Pastor Prince’s books. Grace and truth in the person of Jesus came and made all the difference. The changes happened in me once I understood and believed that everything had already been done for me at the cross, and that Jesus wanted to heal me and pour His grace into my life. When I help the women begin their journey with the program, I give them my copies of Pastor Prince’s books to read. I also show them clips of Pastor Prince’s messages. These women now have a much better chance at lasting freedom. Before receiving the message of grace, they had the same wrong beliefs I had. Like me, they believed that they could never live up to what an angry God of judgment expects of them. Without right believing about the true God and His grace, lasting sobriety is just not possible for any of us and we would all have gone back to drinking. Since listening to the gospel of grace, I now believe that the Lord wants to help us all because He loves each one of us. I love seeing people recover from their addictions. It’s His grace alone that has given my friends and me true freedom. I have also been able to forgive others and myself. Dear reader, condemnation kills! It is a dangerous and vicious trap that keeps you imprisoned. It eats at you from the inside out, and you can’t just will it away or just tell yourself to forget about the mistakes and bad choices you have made. Our sins demand a resolution. The wages of sin is death (see Rom. 6:23). Our conscience cries out against us and demands that punishment for our sins be meted out. That is why you need to have an unshakable revelation of your righteous identity in Christ. At the cross Jesus took your place of punishment and condemnation and became the full payment for all your sins. And when you believed in Jesus, you were justified by faith! The cross of Calvary has made all the difference and is the only answer that will satisfy your guilty conscience. This was what Daphne experienced, and what God did for Daphne, He can and wants to do for you too. Because of God’s superabundant grace, I have a new life, a new beginning, and a new future in Christ. Abba Father, thank You that in the very place where sin has dominated my life, Your grace is abounding much more, because the penalty for my sins has been fully paid for at Calvary. I ask You to change any wrong beliefs I have about You that have kept me in condemnation, fear, guilt, and insecurity. Fill my heart every day with an unshakable revelation of my righteous identity in Christ. I believe Your superabounding grace is right now giving me a new life, a new beginning, and a new future. Amen. So blessed to receIve these Glorius Grace Messages and for it to head start my day..Praise Abba and His Super abounding grace in my life.